Favorite Model: It’s a TIE! Jourdan Dunn & Chanel Iman have continued to impress us this year with their growing catwalk & cover careers! Best Red Carpet Moment: Rihanna at the BET Awards. We know, gross. BUT one highlight of the ghetto fab awards ceremony was Rihanna showing up in the ruffled yellow sundress by Giambattista Valli..FAB! 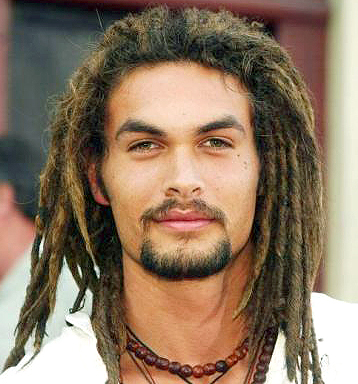 Best Grown Hunk: Jason Momoa. Granted his face was tragically slashed, but he’s having his second baby with Lisa Bonet and we’re pretty sure the scar will just make him look more ruggedly gorgeous! Best Growing Hunk: Taylor Lautner. The Twilight star has fans petitioning to get him cast in the sequel New Moon. We’re too excited to see this 16-year-old cutie mature into manhood! Favorite Starlet: Rosario Dawson. With two hit flicks (Eagle Eye & Seven Pounds) and a massive get-out-the-vote effort, the New York bred beauty stunned us with her acting chops and her love of Twilight! Best Sisters: Sasha & Malia Obama. These girls are too cute and we’re lucky enough to watch them blossom into young women in the White House! Best Couple: Barack & Michelle Obama. The new faces of America have busted the glass ceiling and will continue to show the world the beauty of black love. Favorite Reality Show: The Real Housewives of Atlanta. Talk about drama! These five Georgia peaches reminded us what reality TV was supposed be: real, bitchy and explosive! Best Break Out Star: Cast of Twilight. Not since JTT have we gone beserk over teen hotness (and we are grown women! )…this cast (and we’re hoping little Taylor too) will be back to give us more blood in New Moon. Favorite Gossip Girl & Guy: Leighton Meester and Ed Westwick: They’re the ONLY reason to watch GG. The best TV chemistry we’ve seen since Mer-Der circa Season 1 of Grey’s (when it was good)! Best Band: TV on the Radio. With the release of their latest album, Dear Science, TOTR happily reminded us of some our favorite songs of the 80s! Best Single: “Paper Planes” by M.I.A. It was a stoner flick that made it ubiquitous, but this infectious hit made us skip on the streets! Best New Artist: Leona Lewis. This record-breaking Brit helped us through some bad breakups in 2008, with “Bleeding Love” and “Better in Time”! Most Addictive Choreography: “Single Ladies” by Beyonce. From fat gay men to skinny gay men to a little tot named Arianna in a onesie, too many regular people uploaded videos of their best renditions of this addictive hit. Tags: best, best of 2008, blindie, Fashion, list, Movies, Music, TV, and year.